Ken brings more than 25 years of financial consulting and wealth management skill to people desiring outstanding, independent investment advice and a well-planned financial future. 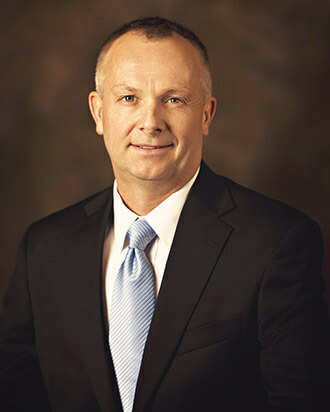 His background ensures that the people of Idaho Falls and surrounding communities have access to top-quality, national-caliber wealth management services that area residents couldn't otherwise find. Deeply committed to arriving at the most meaningful financial plan possible, Ken takes careful time to understand the person or family he's advising. While there are certainly best practices in the approach to providing investment advice, Ken doesn't believe that a canned approach is ever appropriate. With the many, varied options available to investors, he knows how to help people make important choices so they can accomplish their objectives and feel peace of mind while their plans are in action. At the core of Ken's philosophies is the belief that a quality financial advisor must be a true fiduciary, never receiving a commission from a product he or she recommends. As a Fee-Only Registered Investment Advisor firm, Onyx advisors guide clients with advice that is completely independent of any financial product. Ken co-founded Onyx Financial Advisors in 2005, along with his partners John Parry and Terry Roe. Since 1994, through their separate business (Onyx Financial Consulting), Ken was sought by many of the nation's largest banks and Wall Street firms to assess loans to be securitized and sold in bonds. Specifically, he evaluated the underlying collateral of commercial loans bundled together in commercial mortgage backed securities (CMBS). Highly trusted to advise lenders about which loans to walk away from, and how specific underwriting would affect the rating agencies' evaluation of certain bonds, Ken's opinions resulted in the enhanced quality of the bonds he worked on. As such, he's extraordinarily familiar with how Wall Street creates products for investors, keeping a watchful eye out for toxic investments. On a daily basis, he applies this knowledge to help families find investments that match their long-term best interests. In his due-diligence role, Ken advised financial institutions including Donaldson, Lufkin & Jenrette, Bear Stearns, First Union National Bank, Wachovia, Merrill Lynch, Warburg Dillon Read/UBS, Deutsche Bank Securities, Lehman Brothers, and Wells Fargo. He still works occasionally in this capacity, but his heart is in helping investors closer to home. He started his career with Big-8-firm Coopers & Lybrand (now PwC) in 1986 where he had his first taste of working with banks, insurance, real estate, private equity, and mutual fund companies—delving deeply into their financial statements, gaining a strong understanding of the financial industry. Prior to launching his consultancy, Ken was a principal in G&S Consulting Network, Inc., where he developed proprietary systems and processes for analyzing loans being sold to Wall Street firms. Born and raised in Idaho, Ken enjoys spending time with his family in the great outdoors. Long-distance cycling being a new passion of his, he recently rode his bicycle from Idaho to Alaska. In 2016 he competed in the Trans Am Bike Race, a 4,300 mile bicycle race across the United States. Other life-long favorite activities are horseback riding in the mountains, backpacking, skiing, scuba diving and sailing. Ken is always looking for the next adventure.